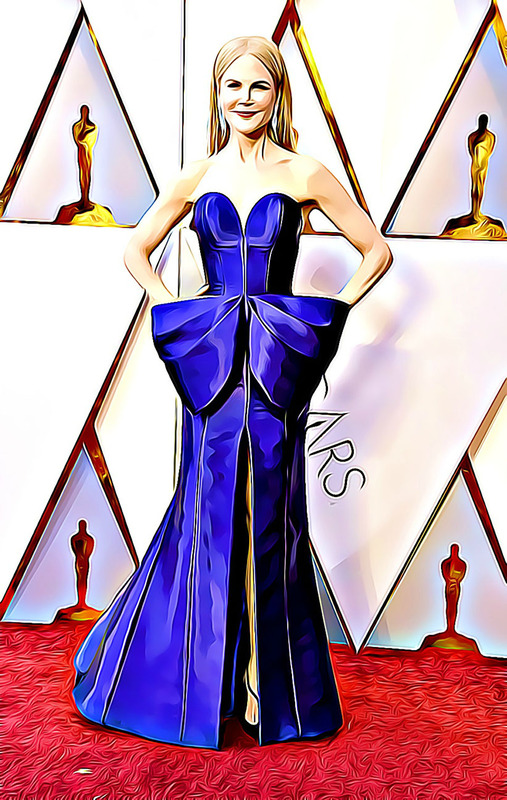 In 1997, Nicole Kidman wore a $2 million dollar dress to the Academy Awards. In 2014, Cate Blanchett attended the Awards in a gown and jewelry worth $18 million bucks. This year, Salma Hayek's jewelry alone cost $4.2 million. We should be over-the-moon about #MeToo, #TimesUpNow, and #WomensMarch. Sexual crimes, harassment, and gender inequities must end. But there's a point at which we must also recognize the vulgarism that is indelicately emblazoned upon the gilded dung of Hollywood. When holier-than-thou professional pretenders appear at their annual self-congratulatory gig wearing t-shirts, jeans, and Chuck Taylor high-tops, and eat pizza with plastic cups filled with cheap table wine instead of a plate of duck by Wolfgang Puck chased with a crystal flute of Piper Heidsieck Cuvee Brut, then and only then can their self-righteous diatribes be taken half-seriously. Otherwise, a long overdue boycott of these inane look-at-me fests is long overdue.